Although Palm Beach County brings up images of the rich and famous, the reality is a region that faces dramatic population shifts. Like many K-12 districts across the U.S., the School District of Palm Beach County is looking for better ways to manage classroom technology in a changing world. The largest geographical district east of the Mississippi, SDPBC employs a faculty of over 12,000 to teach nearly 170,000 students in 185 schools. The district's Department of Educational Technology has a motto that learning improves when all students can "hear and see" what is going on in the classroom. Epson 3LCD PowerLite multimedia projectors are an important part of that solution. "," said Gary Weidenhamer, ET Manager, who has witnessed the district's technology evolution for 30 years. Last year, he compared 3LCD and DLP projectors to see which performed the best, projecting typical classroom images. 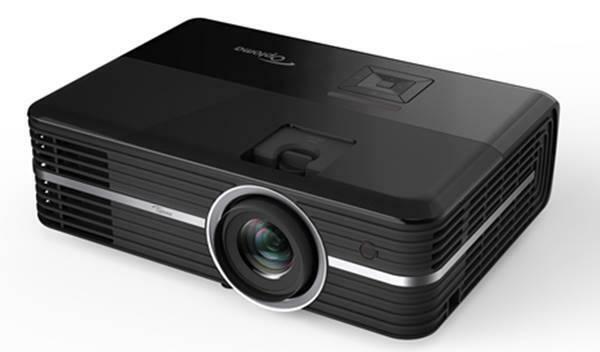 "We felt that the 3LCD Epson projectors did a better job, meeting our criteria of 2200 lumens of brightness for a standard classroom," he said. The projectors featured a built-in closed captioning decoder for hearing impaired students, a low-cost solution for meeting ADA508 requirements. In addition, the PowerLite projectors offered RJ-45 wired LAN connectivity for remote monitoring via the school's IT network, regardless of the location of the projector. For the last four years, the district has been aggressively constructing new schools and rebuilding older facilities. Educational Technology has worked closely with Program Management, which oversees the school's building construction, to create "interactive media classrooms." The district believes that the use of innovative classroom technology contributes to higher achievement levels. Over 8,000 classrooms now include up-to-date computers, ceiling-mounted projectors, sound-field enhancement, document cameras, digital cameras, interactive tablets and "clicker" response systems. Another major project is to retrofit some of the existing schools with ceiling-mounted projectors. "Once our teachers use the 3LCD projectors, they don't want to give them up," said Weidenhamer. The new and retrofitted classrooms have been so successful that the ET manager often hears, "I don't know how I taught before without these technology tools." The district's Title I schools in economically disadvantaged areas, with many ESL students, do not have the fund-raising resources of schools in wealthier neighborhoods. The district has tried to level the playing field by maintaining a ratio of 4.8 students per computer. The district now has nearly 40,000 modern computers (5 years or newer) available to teachers and students. When a school district like SDPBC invests in technology, the cost of hardware is sometimes only a part of the expense in maintaining the equipment. "The support and ongoing maintenance that comes with Epson projectors has made my job a lot easier," said Weidenhamer. "Our teachers depend heavily on the projectors as everyday classroom tools that will always be there. It's a relief not to constantly worry about keeping Epson projectors in perfect working order." The 11th largest U.S. school district, SDPBC takes time to see the big technology picture, having just had its 10th annual Palm Beach County Educational Conference. Nearly 2,500 motivated and concerned teachers and administrators gather each year to come to grips with many of the issues faced by other U.S. school districts of all sizes. Student success is the most critical focus for the entire school district. SDPBC has a lot to be proud of, ranked by Newsweek's annual survey as having 3 of the top 40 U.S. high schools. School grades are among the highest in the state, with an "A" rating from the Florida Department of Education for performance on the Florida Comprehensive Assessment Test (FCAT). Putting thousands of 3LCD projectors throughout the Palm Beach district is also a success. "By combining technology with new approaches to teaching and learning, our schools will provide the kind of education that meets the needs of all its students," said Weidenhamer. Despite hurricanes, real estate prices and population shifts, the Palm Beach County school district believes technology tools such as multimedia projectors are key to its present and future achievement.